Medical dramas are popular, but which is the best? Image source: Greys Anatomy Facebook Page. Fast paced, gorgeous actors and strong story lines that make us laugh and cry keeps hospital dramas ever popular. But was ER better than Grey's Anatomy is? Why or why not? Are you a fan of either? Perhaps you prefer Grey's for its McSteamy and McDreamy's however, who could forget George Clooney? I don't like hospital dramas, however, when Grey's Anatomy was on, I watched it because Katherine Heigal was in it. I began to take an interest, but after a few seasons the characters became beyond annoying and I stopped watching. Tough, but have to go with the oldschool - ER! Grey's Anatomy because I love McDreamy. 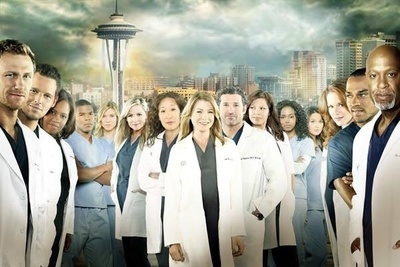 I do love both but I think I have to go with Grey's I just love all the different characters and story lines. The gorgeous Drs are just the icing on the cake. Loved the whole thing about how they got together to buy the hospital to save it! Loved the two that died due to the plane clash but, wish they will still in it. I had watched the first several years of ER but then I got bored. I then got hooked on Greys Anatomy and still love it today.